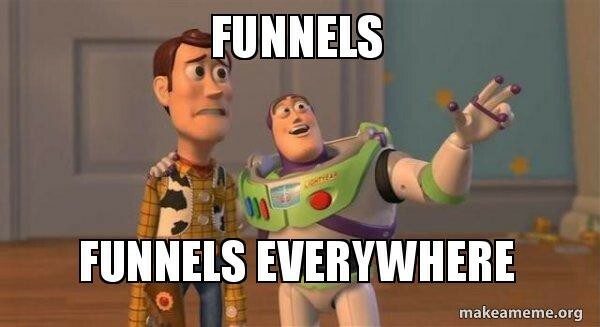 I took some time today to walk through something I call the Job Acquisition Funnel. It takes a common marketing concept--the user acquisition funnel--and it applies it to the job hunting process. I hope you like it, and let me know if you want me to continue walking through tips for other aspects of the funnel. "For jobs, it’s easy to blame the companies and jobs for not getting back to you, but you need to move through their funnel more than they need to hire you. That means the responsibility is on you to tweak the levels of your funnel so that you improve your conversion rate."